Dear Friends, it is with great joy and anticipation that the Diocese of Cheyenne prepares to ordain two new priests. Yesterday I had the delightful pleasure of meeting the parents of one of our deacons. 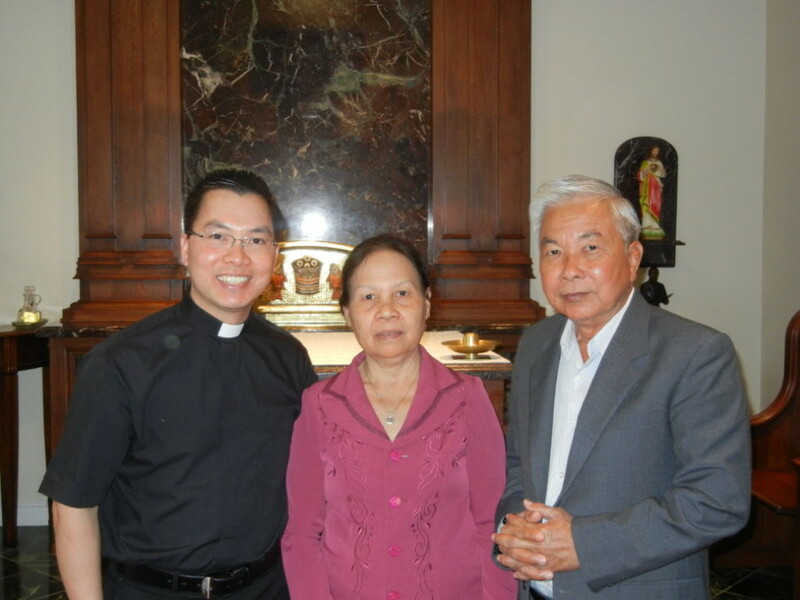 Deacon Hiep Nguyen and his parents, Joseph and Anna (shown above) came to my residence for a warm visit. Hiep was one of three Vietnamese seminarians studying for the Diocese of Cheyenne when I arrived here five and a half years ago. This was the first time his parents have come for a visit, and justifiably for the culminating event of Hiep’s years of formation and study. We kept Hiep busy translating while we had a wonderful visit. On Tuesday, I met with our other deacon to be ordained tomorrow, Deacon Augustine Carrillo. Both deacons completed their theological studies at St. Meinrad Seminary, a Benedictine run school of theology in southern Indiana, near where I grew up, Tell City, Indiana. Augustine grew up in California, was in the seminary some years ago, and a classmate of one of our present priests. 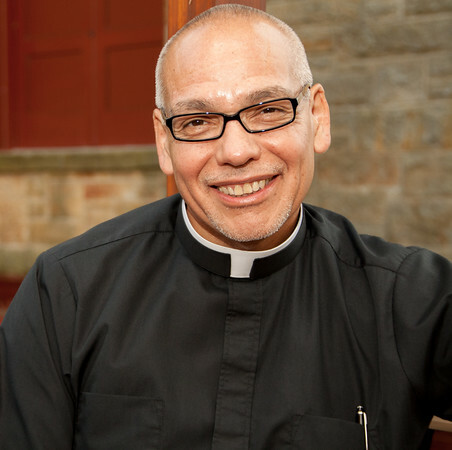 Augustine took some time off from the seminary, and when the classmate priest was looking for a new Director of Religious Education, he called Augustine and invited him to come to Wyoming, which he did. After spending a few years serving in this capacity at Holy Name parish in Sheridan, Augustine discovered a ‘new home’ and a renewed call to pursue the priesthood. This afternoon, priests, deacons and seminarians will gather at my residence for a cookout. The main event this evening is the Holy Hour at the Cathedral from 7:00 to 8:00pm. The public is invited. So, if you are in the neighborhood, please come spend an hour in prayer with us, asking God to fill Augustine and Hiep with the graces to be good shepherd’s for the People of God. We will also be praying for others whom God is calling to serve the Diocese of Cheyenne as priests. 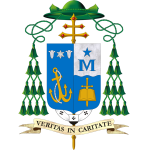 Tomorrow, you are kindly invited to join us again at the Cathedral for the Ordination Mass at 2:00. No matter where you are, please join us in grateful prayer as we ordain and welcome Hiep and Augustine to the Priesthood of Jesus Christ!